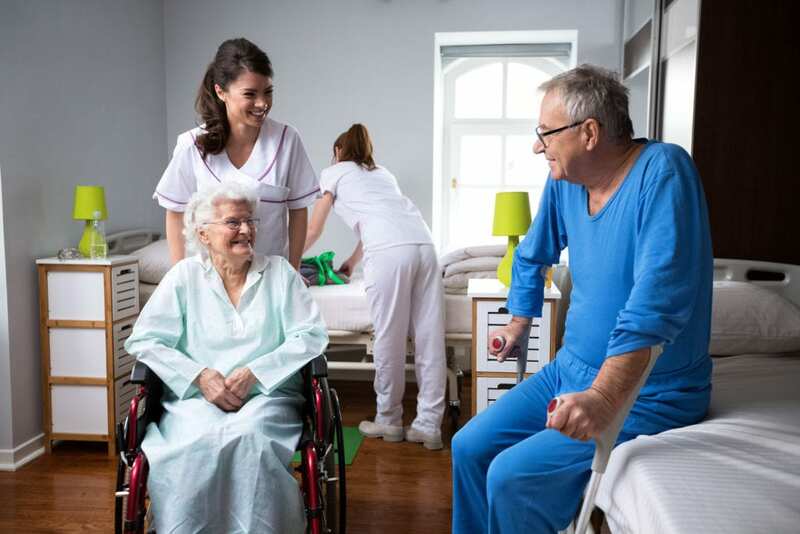 A certified nursing assistant (CNA) works under the supervision of a licensed nurse to care for patients or residents in a long-term care facility. The role of a CNA requires long hours and challenging activities, but the rewards of caring for others make the job a fulfilling one. CNAs spend more time with patients than any other member of the healthcare team. Their primary duties involve assisting patients with basic needs, such as bathing, dressing, eating, and movement, taking vital signs, serving meals and feeding patients, setting up medical equipment for exams and treatments, keeping patients’ rooms clean, and responding to calls for help. Due to their close contact with patients, CNAs are ideally positioned to notice not-so-obvious changes in patients’ mental, emotional, and physical condition. While some CNAs welcome the challenges and rewards of the job, others use the nursing assistant training and experience to move up the career ladder to obtain an associate or baccalaureate degree in nursing. The nursing assistant program at Gandhi Health Career Services covers 129 hours of classroom and practical instruction. Course topics include anatomy and physiology, medical terminology, role and responsibility of a nurse aide, measuring vital signs, infection control, range of motion exercises, personal care and grooming, Alzheimer’s care, rehabilitative treatments, safety and emergency concepts, and nutrition and feeding. The 129-hour curriculum also includes 5 hours of CPR training. Upon completion of the classroom sessions, students will participate in a clinical externship comprising of 40 hours of supervised patient care experiences. Morning, evening, and weekend classes are available. Morning sessions meet Monday through Thursday from 8:00 am to 2:00 pm – clinical instruction is 8 hours from 7:00 am to 3:30 pm. The evening session also covers 21 hours of classroom sessions each week. The weekend classes meet for 16 hours each week for 6.5 weeks. Students must have an attendance rate of 90 percent or better for the theory, 100 percent attendance on the practical, and a passing score of at least 80 percent to graduate from the program. Graduates will receive a Certificate of Completion to confirm their eligibility to sit the State Competency Exam. Tuition and registration cost $1,000. Additional expenses include textbook, uniform, and the NNAAP exam. The Certified/Geriatric Nursing Assistant program prepares adults for state certification as a Nursing Assistant. The program comprises of 120 hours of classroom instruction and clinical experiences: 48 hours of theory, 30 hours of skills lab, and 42 hours of clinical practice. The program instructor will schedule the clinical placement within two weeks of successful completion of the classroom and lab component of the program. The duration of the program is 4 weeks including one week for the mandatory clinical. Vision Allied offers day and evening schedules. The day class meets Monday through Friday from 10:00 am to 3:00 pm. The evening schedule meets Monday through Friday from 4:00 pm to 9:00 pm. The clinical times are from 7:00 am to 3:00 pm. Address: 1045 Taylor Avenue, Suite 113, Towson MD 21286. 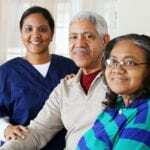 New Pathways offers free CNA & GNA Training through collaboration with the Maryland Center for Adult Training and funding from the Maryland State Department of Labor. The program meets the state’s training requirements by offering a minimum of 120 hours of theory and practical instruction. Course topics include anatomy and physiology, infection control, rehabilitation and restorative techniques, patient transfers, laws and ethics, nutrition and feeding, fluid intake and output, patient rights and independence. Provide valid documentation: social security card, birth certificate, immunization record, and photo ID. Tuition is free for those selected to the program. IT Works offers both Certified Nursing Assistant and Geriatric Nursing Assistant training to prepare students for state certification. The program covers 140 hours of classroom lectures and clinical rotations in a long-term care facility. Students who successfully complete the program will receive a Certificate of Completion and will be eligible to sit the state certification exam. They will qualify for employment in long-term care facilities, nursing agencies, home health agencies, and other healthcare facilities. Course topics include but are not limited to range of motion exercises, rehabilitation techniques, basic nursing skills, vital signs, infection control, nutrition and feeding, patient rights and independence, and hospice care. IT Works offers flexible training options. The part-time schedule runs for 13 weeks, and the full-time program is 9 weeks. Students benefit from lifetime job placement, affordable tuition, flexible payment plan, experienced instructors, state-approved, and no high school diploma or GED required. Tuition for the program is $1,800. The cost of scrubs, TB screen, CPR certification, background check and fingerprinting, state licensure and state testing are not included in the tuition. Tuition for the program is $1,345. Dominion Academy and Health Care Services prepare adults for a career as a nursing assistant in just 4 weeks. The curriculum meets federal and state requirements and includes 120 hours of instruction, including 60 hours of lectures in the classroom, 18 hours of hands-on practice in the skills lab, and 42 hours of supervised patient care experiences in long-term care facilities. Day and evening schedules are available. The day program meets five days a week for 4 weeks. Class times are Monday through Friday from 8:30 am to 2:30 pm. The evening program meets from 4:00 pm to 10:00 pm for 4 weeks. Contact the program director to learn more about the affordable tuition.